The recent offering Ek Ladki Ko Dekha Toh Aisa Laga has been released this Friday with good buzz among fans but not getting much response at box office. On one end there is Uri – The Surgical Strike which has audiences rooting for it till date, and on the other there is Manikarnika – The Queen of Jhansi which is diverting a fair share of attention towards it. 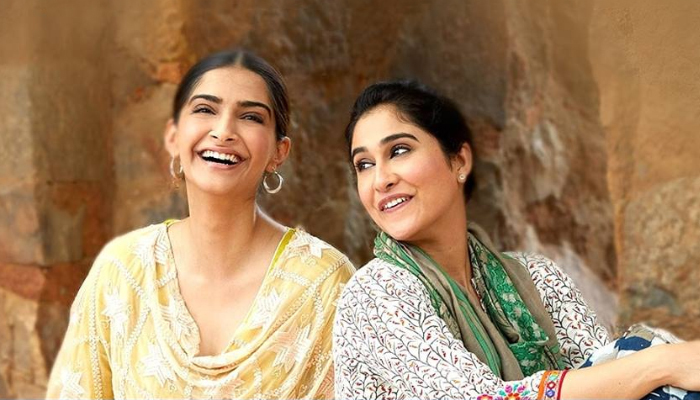 Sonam-Anil-Rajkummar-Juhi starrer Ek Ladki Ko Dekha Toh Aisa has received favorable reviews from critics as well as audience but still recorded lesser occupancy than expected. Everyone is appreciating the performances of lead actors, especially Anil-Sonam whose acting has made this movie more entertaining. On the opening day, Ek Ladki Ko Dekha Toh Aisa Laga witnessed very low occupancy of 10-15% across 1500 screens of India and did the business of 3.30 crores. On the next day, being weekend and due to favorable reactions, it showed slight rise and raked the business of 4.65 crores on domestic box office. On the last day of weekend i.e. Sunday, the movie reported higher response than last 2 days and added the amount of 5.58 crores on Saturday. After the opening weekend, total collection of Ek Ladki Ko Dekha Toh Aisa Laga is recorded as 13.53 crores nationwide. Produced by Vidhu Vinod Chopra under the banner of Vinod Chopra Films, and distributed by Fox Star Studios. Also features Akshay Oberoi, Regina Cassandra, Brijendra Kala and Madhumalti Kapoor in supporting roles.